Find free classified ads for Industrial Tools & Equipment for sale and to buy in Hereford. Shown below are classifieds for Industrial Tools & Equipment. Please use search box above to find other items in Industrial Tools & Equipment Hereford or look at the Hereford for neighboring places in the locality. 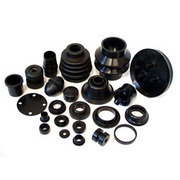 Rubber Components is the Rubber Parts specialized in offering Automotive Rubber Parts, Rubber Moulders in Herefordshire, UK. We are rubber companies with TS 16949 For Details : Rubber Components Station Approach, Ross on Wye, Herefordshire, UK. HR9 7AQ Telephone: +44 (0) 1989 763 519 Fax: +44 (0) 1989 766 662 Website : http://www. Wye Valley is a family owned & run business based in the U.K specializing in Precision Rubber Moulding, Rubber Gasket Suppliers, Compression & Injection Moulding For Details :http://wye-valley.co.uk/. United Kingdom free classified ads for Industrial Tools & Equipment, Hereford, Industrial Tools & Equipment free ads Hereford, Industrial Tools & Equipment for sale Hereford, Industrial Tools & Equipment to buy in Hereford. This page is a listing of classified ads for Industrial Tools & Equipment category in Hereford. This section includes classifieds for sale and to buy in Hereford. Industrial Tools & Equipment Hereford ads Hereford, Industrial Tools & Equipment classifieds Hereford, Industrial Tools & Equipment free ads Hereford, ads for sale Hereford, ads to buy Hereford, FREEADS in UK. Find here ads for sale, to buy and rent in Hereford. Goods for sale in Hereford, vehicles for sale in Hereford, Hereford real estate for sale, Hereford property for sale, property for rent in Hereford, business ads in Hereford, Hereford business classifieds, services in Hereford, Hereford services ads, jobs in Hereford, pets for sale in Hereford, Hereford dating, Hereford cars for sale.